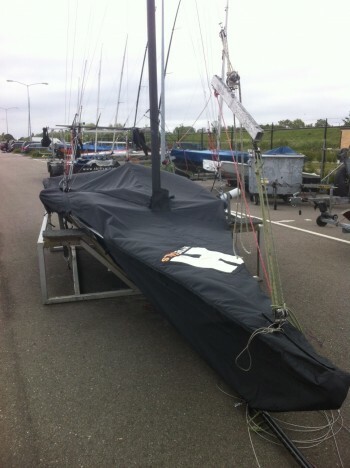 The all new Hyde Sails '18FT SKIFF' cover is a work of art incorporating all the features needed for European road trips, shipping in containers to general protection whilst stored ashore at your local sailing club. 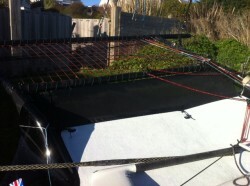 YKK zips on opening from shroud to mast, allowing boat to be stored with mast up and boat breaker on. 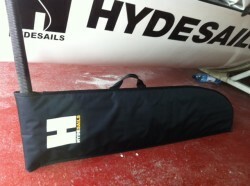 Soft Touch Oydessy 'STO' for short material this is highly stable in UV light and also features padded acrylic fibres to protect the boat on the inside. 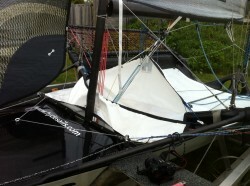 1/2 enclosure bow to aid aerodynamics when trailing.